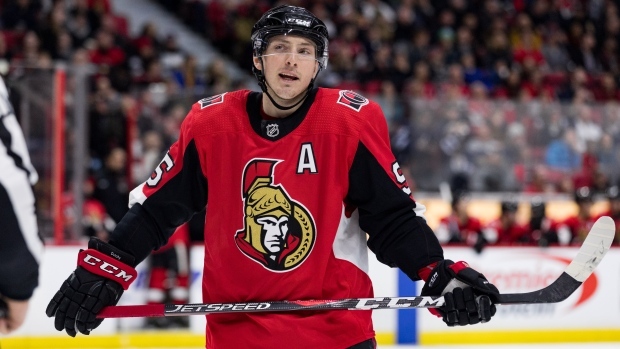 Unless there is a last minute change, the Ottawa Senators plan on trading star forward Matt Duchene, according to TSN Hockey Insider Darren Dreger. Dreger added fellow Sens' forward Mark Stone's future with the team will be determined early this week, well in advance of the Trade Deadline. TSN Hockey Insider Pierre LeBrun added the news is unspurprising, with several teams from both conferences having shown interest in Duchene. LeBrun listed the Columbus Blue Jackets and Nashville Predators among the many teams who have checked in on Duchene. Duchene, a pending unrestricted free agent, has 27 goals and 29 assists in 49 games for the Senators this season. Stone, also a pending unrestricted free agency, has 27 goals and 32 assists in 58 games for the Sens this season.